Yesterday Jeb shared a lot of information about the upcoming update which is scheduled for Minecraft Java 1.14 and Minecraft Bedrock Edition (PE) 1.4. At once it is necessary to note that this update will not appear until 2018, but there is an excellent news - the release will take place for two editions simultaneously (most likely). As the name implies, the Update Aquatic is aimed at a variety of rivers, seas and oceans, as well as small ponds. This means completely different characteristics, new creatures and even the properties of water. Dropped objects will not sink in the water, they will float to the surface of the water. In addition, the water will "leak" through some blocks. For example, through the fence blocks, slabs, and maybe even through open doors. This will entail a special huge change in the mechanics of the game and therefore even the developers can not imagine what else will change in connection with this. In some parts of the oceans, magma blocks will be generated. The water above them will boil and whole columns of bubbles will float up from the bottom to the surface. In this case, the water behavior in the indicated area will also change. Objects will float up in calm water, but in this case they will be attracted to the bottom. And the attempt to cross this place on the boat can end very badly: the boat will swing and break, and the player will be dragged to the bottom. 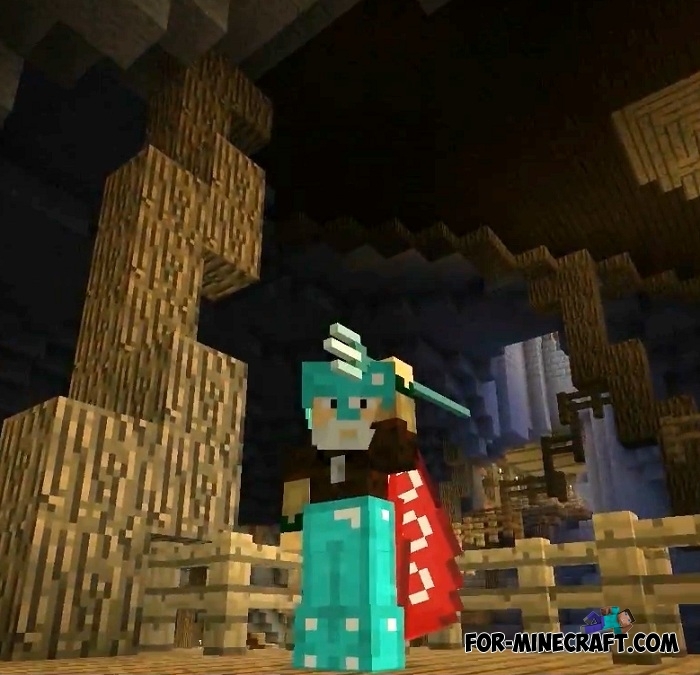 Minecraft will receive a new weapon called a trident. It can be used as a throwing weapon, as well as a melee weapon. If you correctly enchant the trident, then after the throw it will return to the owner. This is a new kind of block that will be generated in the oceans. I wonder if there will be coral islands? It is likely that such structures will occur quite rarely far from the mainland. Also you will see underwater plants. At the moment it is not clear how many species of seaweed appear in Minecraft PE 1.4. There are already fish in the game, but only in the form of objects. Now they will appear in the form of mobs that float in the water. From the player's point of view, they will be something like an underwater bat, that is, they will swim without any harm, making chaotic movements, creating a certain atmosphere. However, there will also be features, for example, you can catch the fish using a bucket. If such a bucket is splashed out somewhere, then the fish will get there. In general, aquariums in that season will be especially popular. The ocean biome will be divided into two (and maybe more) biome species. In it there will be areas with cold and warm water. This will affect the spread of seaweed and corals, and can also affect the species of fish that will swim in different parts of the ocean. The game will also have new types of structures, one of which is natural iceberg, consisting of blocks of ice and snow. Sunken ships are places where treasure can be found. Whether there will be a player in there for any danger is unknown. This is a new animal, one of the main symbols of this update, which will be added to MCPE 1.4. 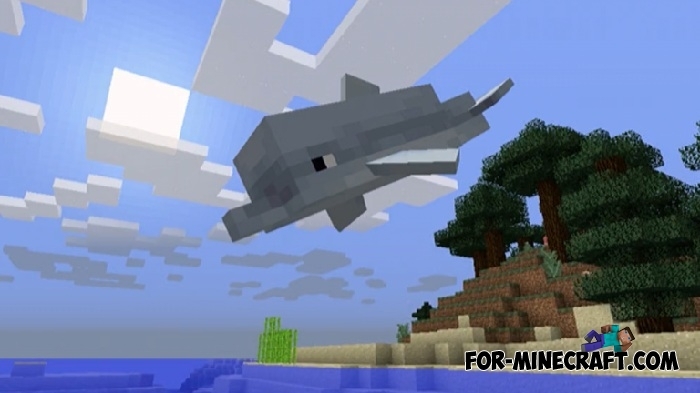 Dolphins will help to find treasures, sunken ships or they will swim next to the player in the corresponding direction. 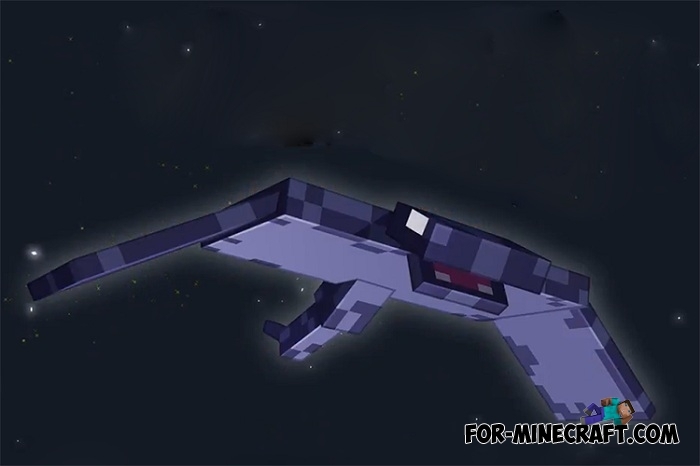 During the Minecon broadcast, players were able to select a monster to be added to the game. The Monster of the Night Skies received the most votes. 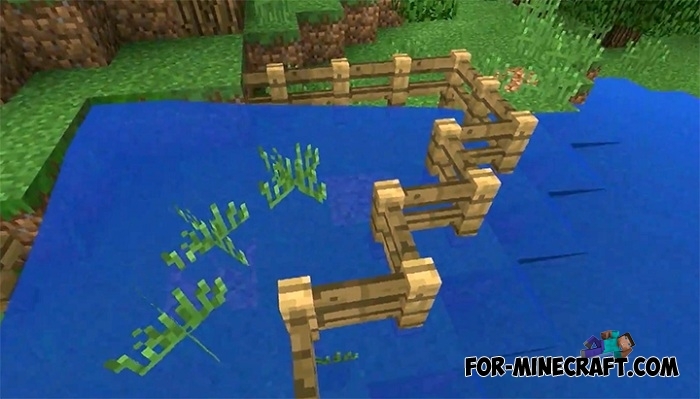 All these cool features are expected to Minecraft 1.14 and Minecraft Bedrock 1.4 that will appear next year. In the meantime, we are waiting for Minecraft PE 1.3 (BE) with other interesting content.